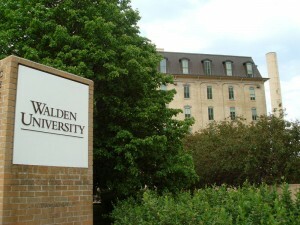 Walden University is a private, for-profit post-secondary educational institution. Walden University is located in Minneapolis, Minnesota. The school was established in 1970. It is owned by Laureate Education. Walden University offers a wide variety of programs for students to choose from. Walden University offers a wide variety of programs for students to choose from. The school’s commitment to online and distance learning is showcased in the programs it offers. 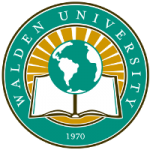 Walden University is one of leading distance education providers in the United States. Walden distance program includes Bachelor, Master and Doctoral level. It allows many to keep a part-time or even full-time job by allowing flexible course structures without the hassle of commuting. Distance education methods include the use of print and online materials. There is an increased focus on online studies to provide more engaged and interactive classes. Online students can participate in virtual classrooms and chat sessions allowing for participation and engagement with their classmates and teachers. Walden University’s tuition rates vary depending on what courses are selected and at what level. The school’s pricing remains competitive in order to draw in students, but students should consider other fees and expenses as well. In order to help students pay for their tuition there are grants, scholarships, grants and financial aid available to those who qualify.